Election 2019: At a poll rally, party chief Amit Shah said that as long as BJP exists, Kashmir will continue to be an integral part of India. In response to National Conference leader Omar Abdullah's recent suggestion of having a separate prime minister for Jammu and Kashmir, BJP party chief Amit Shah said that Kashmir is an integral part of India and will always remain so. "No one can take away Kashmir from us. As long as the BJP exists, Kashmir will continue to be an integral part of India. We will never allow two prime ministers in India. The Congress wants to separate Kashmir from India," Mr Shah said. 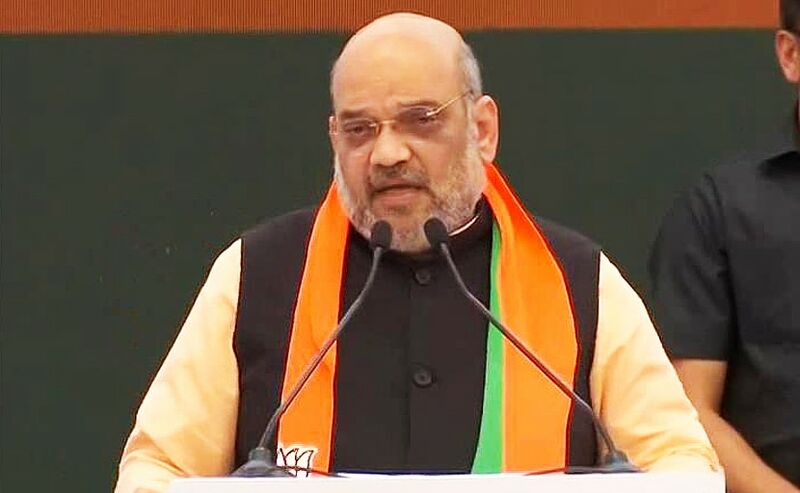 Amit Shah also said, "(Omar) Abdullah's comment that Jammu and Kashmir bargained for a separate prime minister and president and hopefully they would have it, has also drawn a strong response from Prime Minister Narendra Modi." Referring to cross-border terrorism emanating from Pakistan, Mr Shah said, "If there is a goli (bullet) from there, India will send a gola (bomb)." Mr Shah also said, "Terrorists infiltrating in India will be found and killed. PM Modi worked to make the country safe. Through Balakot air strike, we avenged the deaths of our soldiers." "The chant of "Phir ek baar Modi Sarkar" is heard from all corners of the country," he added. Mr Shah targeted the Congress-NCP combine which was in power in Maharashtra for 15 consecutive years till 2014, when the BJP wrested power from it. "The Congress relegated Maharashtra on development front, while the BJP brought back the state on the path of development," he said. "Five generations of Congress ruled the country but did nothing for India. What did Rahul Gandhi and Sharad Pawar do for the poor in India," Mr Shah questioned.